Great Seal of Arizona; color version of the state seal at the Arizona State Capitol Museum. Photo by Jimmy Emerson, DVM/Flickr (Noncommercial Use Permitted with Attribution/No Derivative Works). 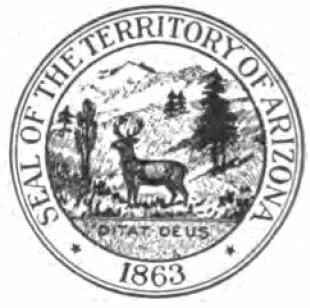 The actual Great Seal of Arizona that is used on official documents is in black and white. The design on the seal features a background mountain range with the sun rising behind the peaks, a storage reservoir (lake) and a dam, irrigated fields and orchards, grazing cattle, and a quartz mill with a miner holding a pick and shovel. Above the drawing is the Arizona state motto; "Ditat Deus," (Latin for "God Enriches"). 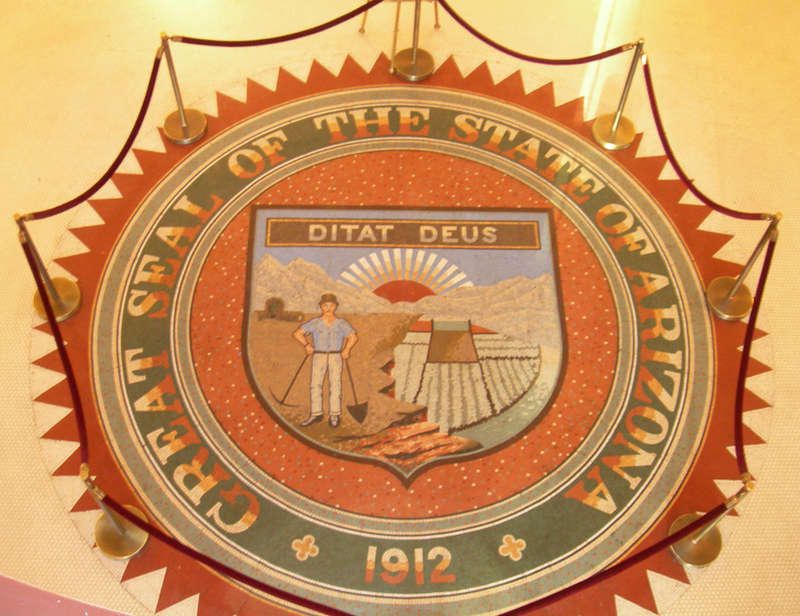 The words "Great Seal of the State of Arizona" and the year of admission to the United States (1912) is written around the seal. Original Arizona Territory seal (circa 1864): public domain image on Wikipedia. 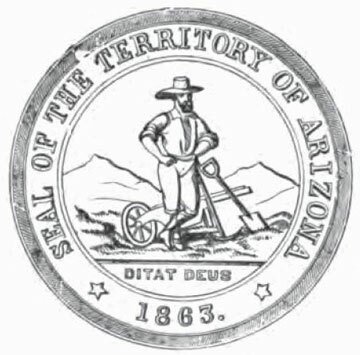 Arizona Territory seal (public domain image on Wikipedia).